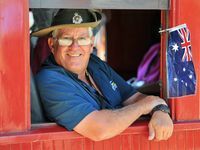 Troop Re-Enactment Train Pulls into Cooroy. FIVE days after leaving Winton on Monday, the Anzac troop train re-enactment journey is drawing to a close. The heritage nine-carriage coal-powered steam train carrying more than 250 veterans and families of soldiers lost at war will leave Maryborough at 8.20am today bound for Roma Street Station in Brisbane. 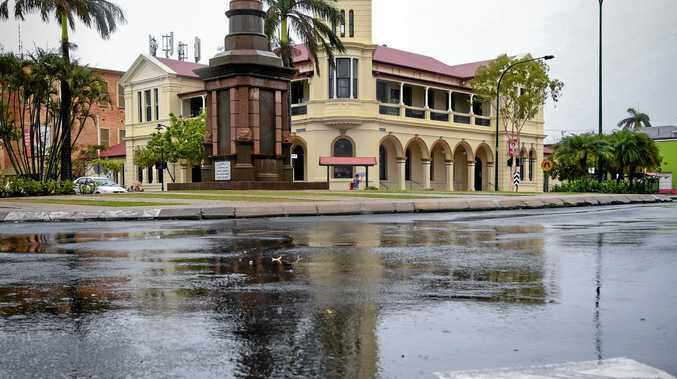 Deputy Prime Minister Warren Truss is expected to travel on the train from Maryborough until a two-hour stop-over in Cooroy for a wreath-laying ceremony. Leaving Cooroy at 1.10pm, the train will steam into Roma Street about 4.25pm. Premier Annastacia Palaszczuk will join a large crowd at the station to welcome the travellers. Flynn MP Ken O'Dowd, who was one of the driving forces behind the 100 years of Gallipoli commemoration project, said it had exceeded his expectations. "The trip has been excellent," he said. "There have been no hiccups and everyone is happy. "It's really been a fantastic trip - better than I expected." Mr O'Dowd said he was impressed by the welcome at stations in Longreach, Alpha, Anakie, Emerald, Blackwater, Duaringa, Rockhampton, Gladstone, Miriam Vale and Maryborough. He said he expected a warm welcome in Brisbane. "If it's anything like we've received so far it's going to be huge," he said. The re-enactment will end with a cocktail party at the Hilton Hotel in the city.